Referrals are an extremely effective way to generate valuable business. Recent studies show that customers that receive a referral are much more likely to purchase a product or service recommended to them by someone that they trust. In 2016, the Nielsen Market Research team conducted a study about how powerful the referral market can be. The data from the Nielsen Market Research team’s study shows that a significant amount of people seek referrals when making a purchase. In fact, 82 percent of Americans would ask family members and friends for recommendations. According to American writer, lecturer, and self-improvement guru Dale Carnegie, “91 percent of customers say they would give referrals. Only 11 percent of salespeople ask for referrals.” Customers referred to you by their friends or family members are actually 4 times more likely to purchase a product or service from you. With these statistics in mind, what’s holding you back from asking for referrals? Many salespeople often feel nervous or shy about asking their friends or family members for a referral, which is why they often skip asking altogether. 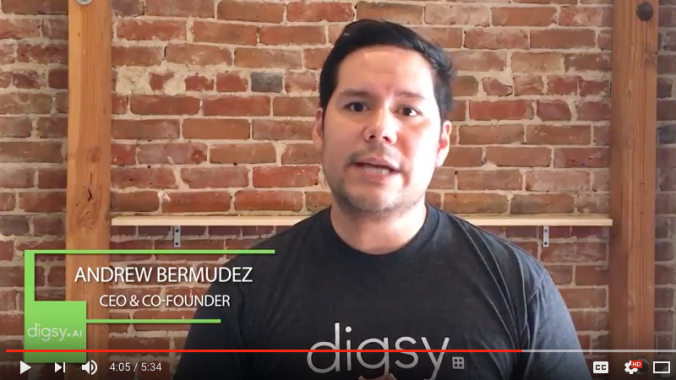 In the video below, Andrew Bermudez, Co-Founder and CEO of Digsy AI, gives simple and effective tips on how to ask for referrals. How to find referrals using your social media network. How to ask your network for referrals. How to ask your family, friends, acquaintances or past clients for referrals. Make sure to watch the video below to get your downloadable Email Template. Digsy AI is an easy & powerful sales performance improvement platform. It helps you and your team improve sales performance with less data-entry and mental effort.